The Racine Courts were built in the Washington Heights neighborhood in 1951 as the neighborhood was transitioning from white to black. The projects were built as 2 story row houses with 121 units and were owned by the Chicago Housing Authority. Within the first 11 years of its existence these projects were mismanaged by CHA unlike many of the other housing projects in the city at that time. 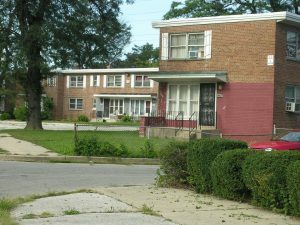 Other projects had careful tenant screening processes; however, criminals and other unsavory characters took up residence in these projects making the area an unsafe neighborhood with several vacant apartments. In 1962 the residents of this complex were fed up and began organizing their own group called “Hometown” that wanted to manage the property as a co-op. so they could purchase the property for private ownership and in 1968 CHA was ready to sell the property. In 1969 Hometown assisted residents in purchasing their own apartments at a very low and affordable rate while Hometown managed the property. 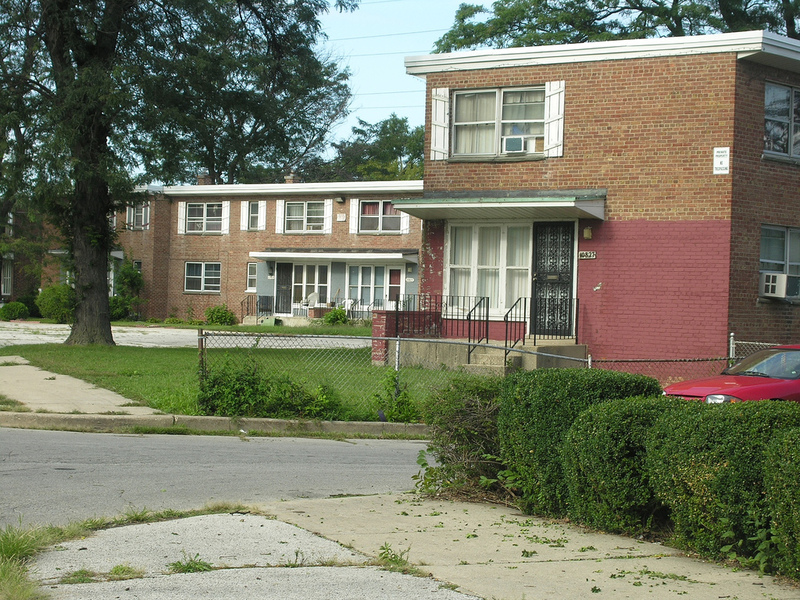 This apartment complex has been a co-op ever since and has been free of deterioration and has been well kept; however, gangs have moved into the complex and crime has prevailed over the years which is a result of the gang activity from the entire neighborhood, the Gangsters Disciples have always had the strongest presence in this complex with Black P Stone activity as well; however, the gangs have not completely conquered the complex because residents have a stronger neighborhood watch program.